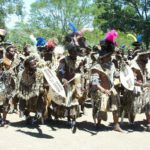 During the month of October (15th to 31st), more than 30 000 Shembe followers gather for a month of religious celebrations in the village of Judea near Eshowe. The village literally springs up overnight at their yearly gathering place. This is an absolute eye opener and gives one a chance to meet the Shembes and their Saviour. 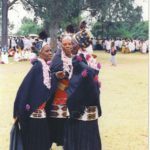 On the Saturday is the traditional prayer dance, and Sunday is the day of prayer, where followers get an opportunity to be healed and blessed by Shembe. 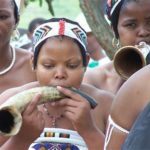 There is a tremendous emphasis on traditional dress and dance, praise singing, and the blowing of the Horns of Jericho. 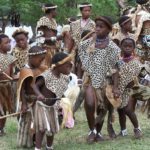 Each year during the last three weeks of October over 30,000 Zulu Shembes gather at Judea near Eshowe to meet their Leader. Tens of thousands of faithful followers gather and resurrect the village that had been disbanded after the previous year. In this very vibrant and colourful village hundreds of family shops spring up selling items from food to religious paraphernalia. A hive of economic activity prevails in between a formal religious program. There are two sessions of prayer and traditional “prayer” dances performed by five distinct groups. 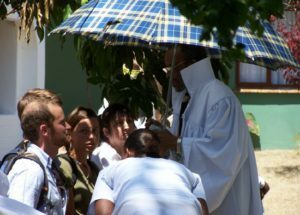 At prayer everybody dresses in long white robes (the elders dress in green). 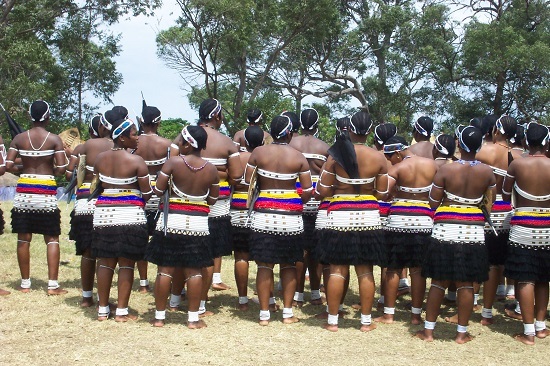 At the dance the men dress in traditional warrior-type gear, and older women in modest black and beautifully beaded dresses and headgear. The younger women and the Scottish in their distinctive attire. No shoes, hats, smoking or alcohol is permitted. Shembe has 4.5 million followers. Shembe, who is the fourth successor to the prophet Isaiah (Isaya), is regarded as a miracle performer in the mould of Christ. After services, thousands queue kneeling to be blessed (with a bottle of vaseline) and cured. A visit to Judea is a step into another world that is on our doorstep yet so distant to us. Visitors are welcome and meetings with him can be arranged. The Nazereth Baptist Church was introduced to the continent of Africa by Prophet Isaiah Shembe in 1910. The Nazerenes believe in God the father (Jehova) God the Son (Jesus Christ) God the Holy Spirit of Ekuphakameni (Shembe the Holy Spirit – not the person in human flesh). The church observes the Sabbath Day. A Nazarene takes a vow that they may not partake of any liquor, shall not shave his/her hair. Males will be circumcised on reaching 18. They must be baptised in a pool of water. He or she does not feed himself or herself with all that which is cast out. (Pork is singled out strongly). These basic requirements need to be fulfilled to attain holiness. The Nazarenes observe traditional values which are not in conflict with God’s will. 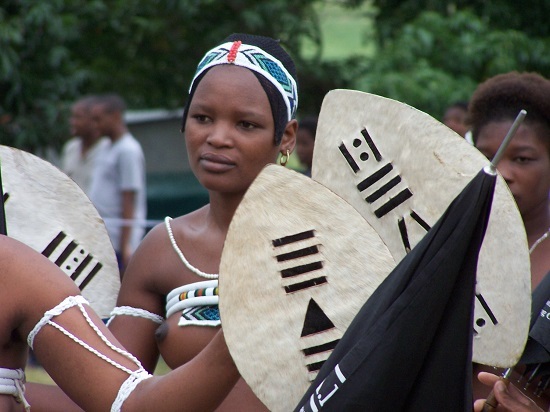 If you are African then African traditional values and if Western, Western traditional values. 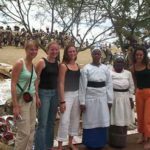 Emphasis on traditional African attire is not in conflict with God. Hence there is an uncommon way of worshipping God that is through African traditional dance with beating of drums. As well as the yearly gathering, each year the Shembes gather at Judea to pay their respects to their predecessors on the 19th of December. 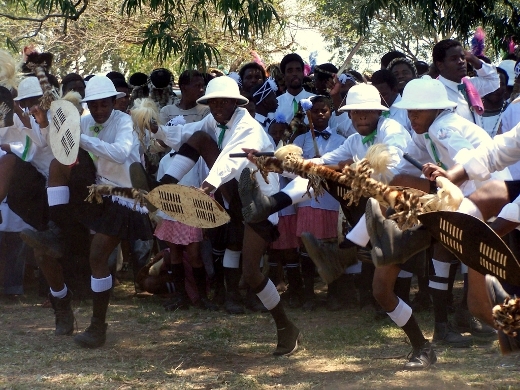 This is part of their Shembe Zulu culture.